Something strange is happening in Richard's curtain...Is it a trick of the light? A dream? Or a side-effect of the awful medication he has to take to make the last months of his life more bearable? Then they speak, these shapes in the curtain, and come to adopt a life of their own. They have no identity, no background; so are they real, or simply a figment of his troubled mind? But they have an insight and wisdom that surely could not have come from within him. 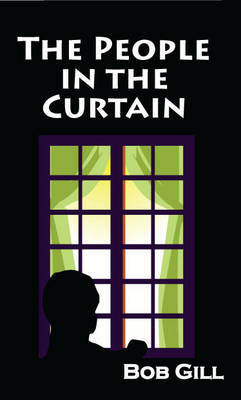 As he slips deeper into his illness and towards its inevitable conclusion, his night time conversations with the people in the curtain, and the stories they tell him, ease his fear and discomfort. Through them he is able to face his final days with an acceptance that belies his years. This is both a tragic tale of a dying boy and a heartening fable that should encourage us to appreciate what we have, while we still have it.